Lately I’ve been working with my old Yamaha TX816, TX802, and DX-7 synthesizers from the early 1980’s. 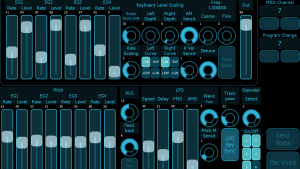 I’ve been a long time fan of MidiDesigner for the ipad which is an app that allows you to create layouts or custom editors to help with creating patches for popular keyboards. I recently found one for the Yamaha DX-7 that works fantastic and I highly recommend it. You first need Midi Designer but along with it you’ll get a collection of other layouts so in the long run the initial investment in Midi Designer will quickly pay off. 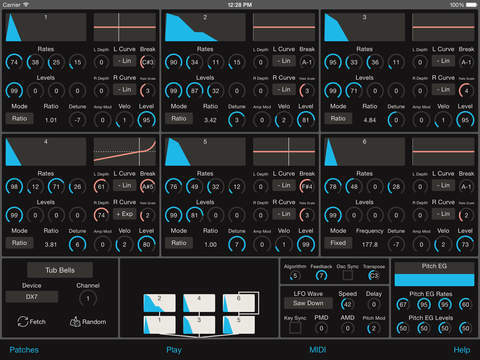 You can also find a nice second choice iPad editor for the Yamaha DX7, TX802, and TX816 using the TBMidiStuff App. It works great also! Lets you edit the patches of a Yamaha DX7, TX7, TX816, TX216. All voice and performance parameters are available. Or the SoundQuest Yamaha DX7 Editor and Librarian which is also great. This great VSTi can be used both as a DX7 librarian to edit patches and send them to your DX7 synth (if you own one) but also as an emulator as it’s built in engine recreates quite faithfully I think the sound of the DX7 synth. 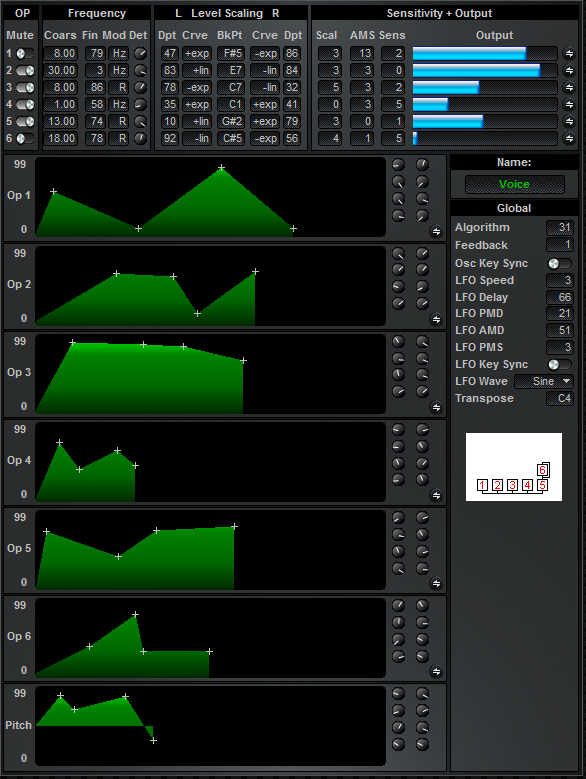 Visualize, edit, and organize Sounds for your Yamaha DX7, DX7II, TX7, TX802, or TX816 synthesizer. 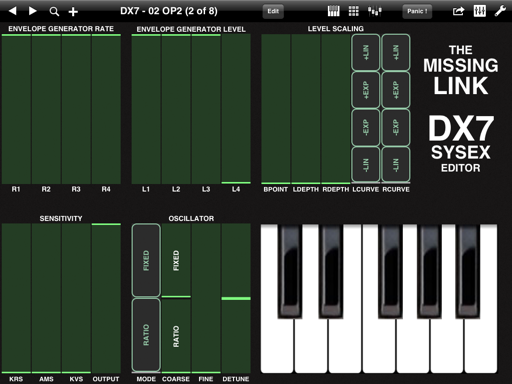 Yamaha Dx7 for iPad. Thanks! I’ll be sure to check it out. Maybe it’ll have some cool stuff for my old Juno106. 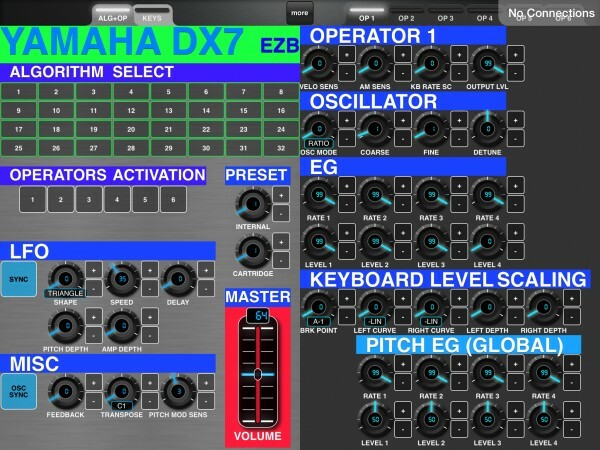 I just bought the new Patch Touch for Yamaha DX7 during the holiday sale for $15.00 today. I’m testing it now and so far it’s pretty good. I wish it could import entire banks instead of just individual patches, but otherwise it’s a pretty full featured app. I use Sysex Base to import banks onto the iPad and into the DX7 for now. There is also a random patch generator on board, but I’m not exactly sure how that works. It seems the random patches generate similar patches so I don’t know if it’s working right. Also there appears to be (random?) names attached to each random patch. I’m wondering if the patches are not so random but pre programmed. Interesting. Anyways, for iOS, Patch Touch DX seems like a solid solution, although it’ll be back up to $30 bucks after the sale. The app is definitely useful if you need help programming the mighty Yamaha DX7. It is cool to see my DX7/TX7 layout here, Jim. Thanks. There is a new update of that layout now.